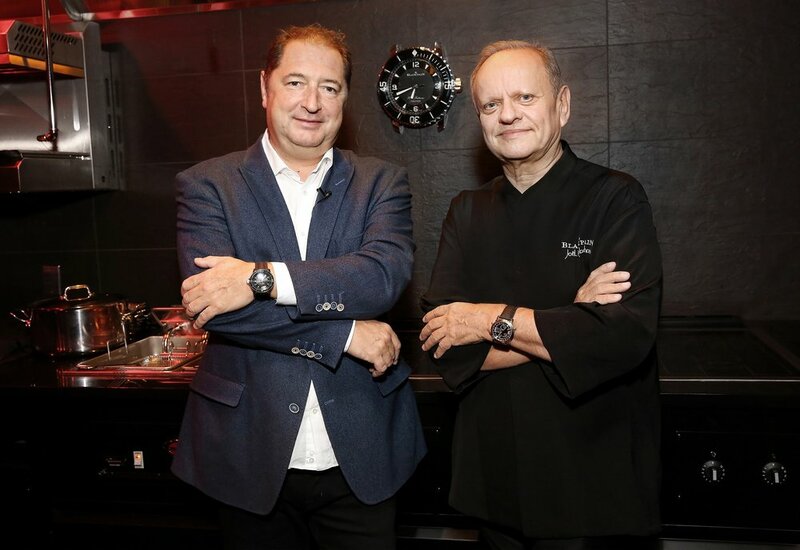 Blancpain celebrated the official opening of its New York boutique, located at 697 Fifth Avenue, together with internationally renowned chef and friend of the brand, Joël Robuchon. A look back at a pleasant encounter and a private visit conducted by Mr. Alain Delamuraz, Vice-President and Head of Marketing, Blancpain. A number of journalists and friends of the brand attending the occasion enjoyed a private tour providing an introduction to the premises and the Blancpain universe, conducted by Alain Delamuraz. This was followed by a friendly yet passionate dialogue between the latter and the great French chef, focusing on common core values such as the quest for quality and excellence, expertise, a deft touch and meticulous workmanship.